If a list of the finest Tamil films to have ever been made is released, Peranbu will find a place in it. 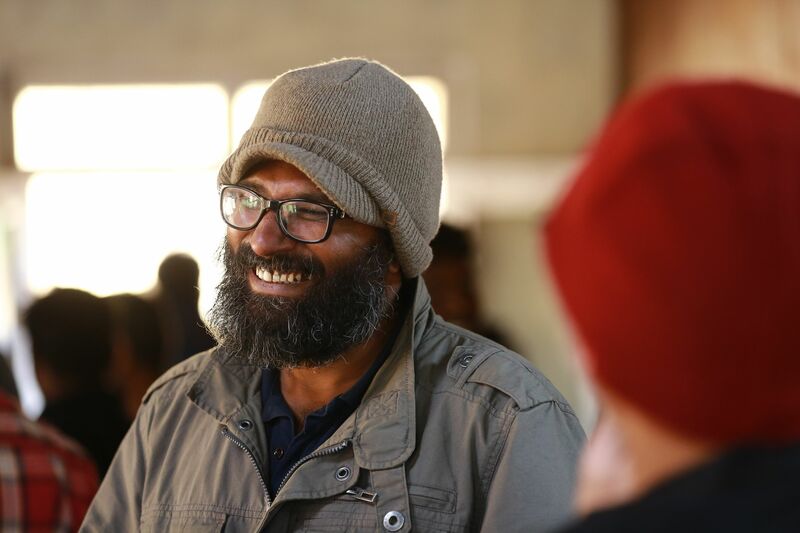 Director Ram’s latest offering, Peranbu, is in a league of its own – primarily because of the important message it seeks to put across and the fine manner in which such a delicate topic has been handled. The film works for several reasons but the most important reason of them is given out, right at the start of the film itself. That is the truth– pure, unadulterated and simple. Peranbu leaves you with a sense of gratitude. For as humans, we have this tendency to compare our lives with those that we know of. We tend to feel blessed when we see those around us having to handle problems that are a lot more complicated than ours. In turn, it makes us utter a prayer of gratitude to God. It renews hope and strength in us and reinforces the thought that we are a lot more blessed than them. Peranbu’s story is so moving and its protagonists’ difficulties so agonizing that you will feel blessed for the lives you lead and grateful that you do not find yourself in a position similar to the one that the lead character of this film finds himself in. So, what is Peranbu all about? Peranbu tries to showcase the difficulties of a single parent trying to raise a spastic child. The difficulties double if the parent is a male and the child is a female. It compounds and spirals out of control once the child enters adolescence. Most of us, until this day, assume that disability has a direct bearing on biological needs. We believe that a disabled person automatically experiences a loss in regular biological needs and that includes sexual needs as well. The fact is that it is not so. Ram does not showcase the problems of a single parent or the problems faced by spastic children. He also touches on several other issues like the real estate mafia and the ruthless manner in which they go about to get what they want. He talks about the miserable and difficult lives transgenders lead. All of these are showcased as one single story – a story told in 12 different chapters. The biggest point that Ram makes is that Nature has different characteristics but its most important characteristic is that it is full of love. The very fact that Ram has chosen to make a film of this kind deserves a special round of appreciation. Not many directors would choose to pick a topic like this to make a film. Only someone who has absolute command over his narration and filmmaking skills can choose to pick a plot like this and make a film out of it. For even if a small aberration had occurred, what came across as a moving tale, could have easily turn into an unpleasant, ugly and obscene film. Ram, with his masterful narration, delivers an adorable, heartwarming tale that impresses on every front. The film has Mammootty coming up with a measured performance. Neat, compact and effective, Mammotty, who has handled far more difficult characters than this role, has no qualms in delivering his role to the satisfaction of both the director and the audience. The biggest challenge must have been for the girl, who plays his daughter Paapa in the film. Sadhana, who has already worked with Ram in his earlier film, comes up with a sterling performance as a spastic child to steal hearts. She has no dialogues, has to assume a cringing posture in every scene that she appears and also showcase her emotions only with her facial expressions. Despite all of these constraints, she comes up with a fine performance that leaves you stunned and overwhelmed. Anjali, who too has worked with director Ram before, plays a role that she has never before played. Her performance is a delight to watch in this film. On the technical front, Yuvan Shankar Raja seems to have gained mastery over silence as he has over music, just like his dad Ilayaraaja. One does not know if this is something he has inherited or whether this is an acquired skill – whatever be the case, it is bound to make him an even more loved music director. Theni Eswar’s visuals are so stunning and so appropriate that they reinforce the thought that Ram is trying to put across. There is oneness of thought between the cinematographer and the director that it looks like it is the same mind that is giving instructions to two bodies. Delightful is one way you can describe his work in this film. On the whole, Peranbu is what it’s title says – full of kindness and love! Go, experience it!